News and Pics – 560 HP Volkswagen Rallycross Beetle! The VW Beetle might not be the first idea which springs to mind when you think of snarling, fire-breathing Rallycross cars. 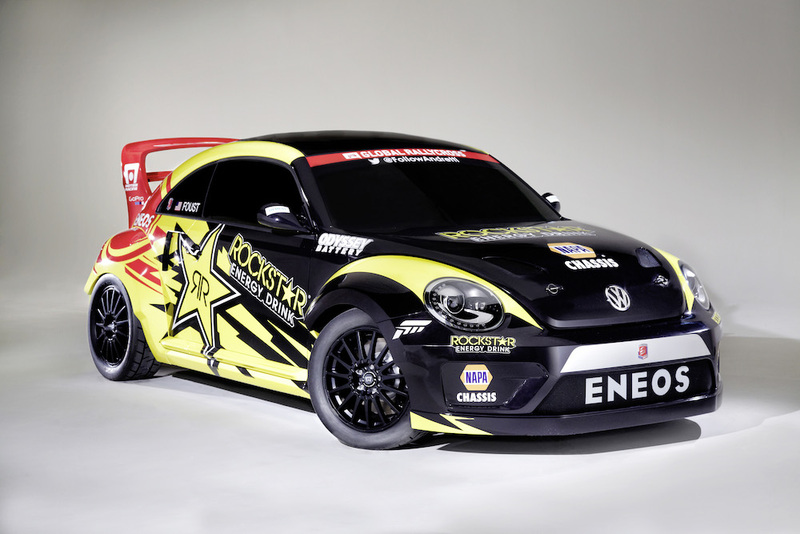 But Andretti Autosport and Volkswagen have come together to change all that with the Rallycross Beetle. Designed for the 2014 Red Bull Global RallyCross championship which, despite the name, has all but one in event in just the United States, the mental looking Beetle packs a 560 bhp TSI engine and an all-wheel-drive powertrain. 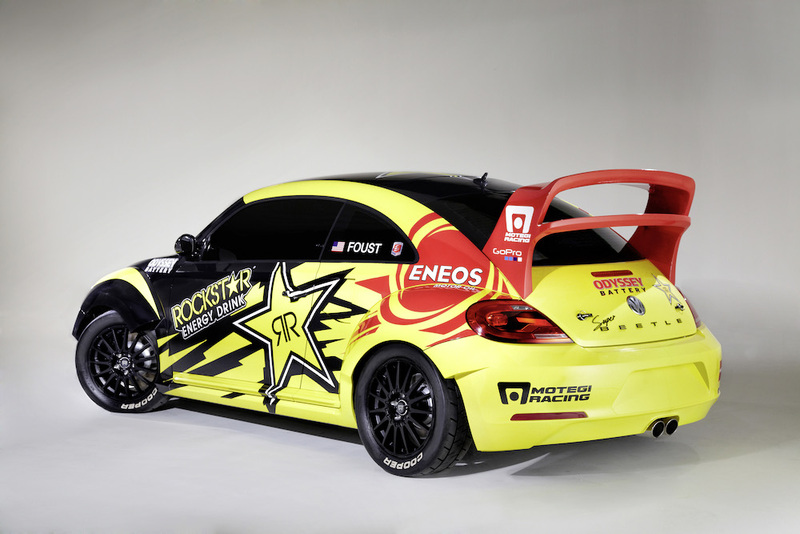 Driving the Beetle will be Tanner Foust – famed for his presenting of the American version of Top Gear along with competing in European Rallycross, and the X Games – along with Scott Speed who has recently been competing in NASCAR. Speed is perhaps better known to European readers for his troubled two Formula 1 seasons with Toro Rosso between 2006 and 2007. The American was replaced part way through the ’07 season by a certain Sebastian Vettel, following a string of poor results and retirements. The Volkswagen Andretti Rallycross team plans to start the season, which kicks off in Barbados on the 17th May, initially using Polos based on last year’s WRC winning car before switching to the Beetle later in the championship. Undoubtedly the Rallycross Beetle might just give Volkswagen’s retro hatch’ the extra shot of adrenaline it needed.